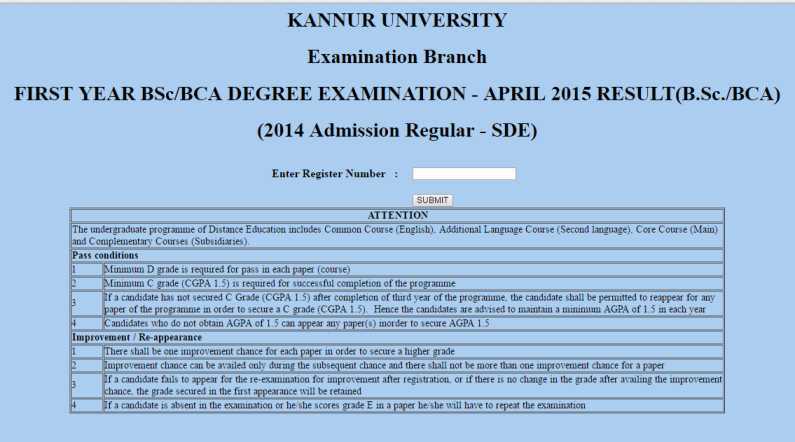 How I can get result of BCA first year course of School of Distance Education (SDE) of Kannur University ? As per your requirement I am here giving you result of BCA first year course of School of Distance Education (SDE) of Kannur University. 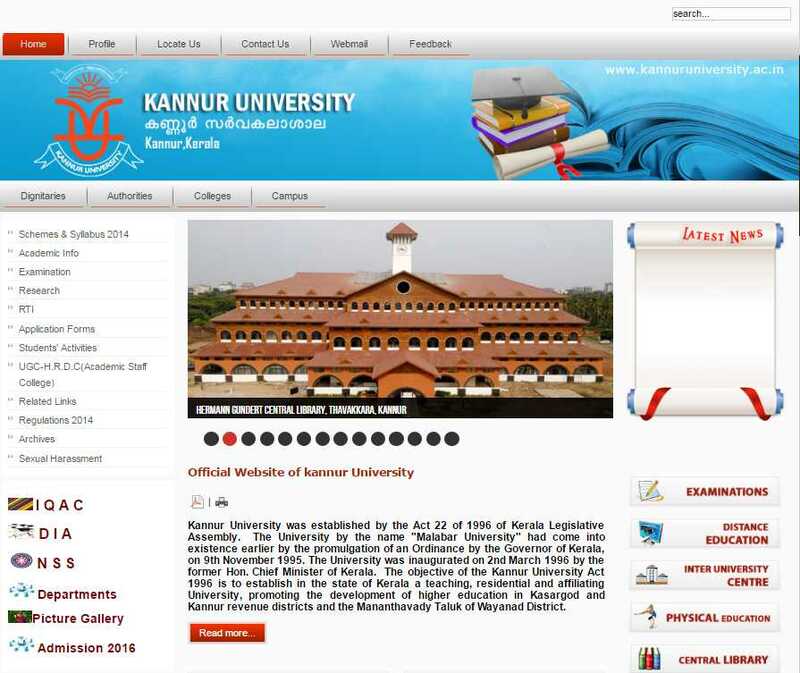 Go to the website of Kannur University. Click on examination link at left side of page . At next page click on Exam Results link under student corner section. Then click on UG link . At next page click on First Year (Regular ) BSc/BCA (SDE 2014 Admission) Degree Examinations April 2015 link . Here enter registration number and click on submit to get result . All times are GMT +6.5. The time now is 04:40 AM.